Most of ANP’s new clients are “doing IT themselves,” before we meet them. Once we complete an assessment of their IT environment they are surprised to find out how many serious things are not configured correctly or not configured at all. We have been providing IT outsourced services since 1998, and we have learned a few things along the way. 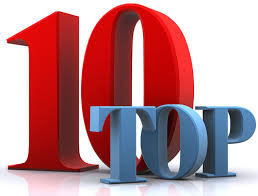 Let me share with you what I believe are the top 10 reasons why a small business owner or a non-profit Executive Director should be considering IT outsourcing. Lower operational and capital costs are among the primary reasons why companies choose to outsource their IT. When properly executed, IT outsourcing has a defining impact and can deliver significant savings to a company. In addition, rather than get Time & Materials IT invoices on an unplanned basis, you now get a fixed-fee invoice every month; it is so much easier to plan your IT cash flow. Perhaps most important, you can gain some peace-of-mind that your IT is being run by using industry best practices. I opened the blog sharing with you that most owners are really surprised how bad their IT situation is. By outsourcing your IT you can become confident in knowing that all of the data security, patching, antivirus updating, disk defragging and daily backups will be monitored, proactively managed and completed. Many times our new clients recognize the existing IT foundation is in big trouble, and in order to build an organization that can scale and grow, a strong IT foundation must be in place. Once you outsource your IT you will have access to the advice of professional IT experts. They will analyze your basic IT foundation and make recommendations. For example, during a new engagement ANP often finds a Local Area Network (LAN) in which LAN switches are daisy-chained throughout the company. Over time, this common practice will cripple the LAN’s ability to work correctly and everyone will slow down to a crawl. Placing a couple of new LAN switches in a few closets can completely turn that condition around. If you were to consider how much time you and your staff are spending on IT today, what would you estimate the value of that lost payroll to be? If you outsource your IT to a third party, you immediately re-gain time which you and your staff can use to focus on growing your business. IT outsourcing can also help a small business build a 3-year and 5-year IT budget. You can actually plan to replace old PCs and laptops in a scheduled and controlled fashion, rather than wait until a salesperson’s PC blows up and you find them screaming in your office to spend an unplanned $1500. Outsourcing your IT will also free up internal IT resources that were doing mundane support desk and patching tasks, allowing them to be put to more effective use for other strategic IT purposes. IT Outsourcing can also be used as a strategic planning tool before a business sale. If you are planning to sell your business as a strategic platform, your IT must be performing at a high level. Once an offer for sale has been made, an IT professional will be sent in during a diligence period to evaluate your IT processes and they will assess the overall condition of your IT department. Outsourcing a year before the business sale will insure you get a great bill of health! Outsourcing also enables companies to realize the benefits of re-engineering their whole IT server farm. My experience has been that many companies have deferred their IT spending so long that the servers running the business are too old and way overtaxed, impeding the ability of each PC on the network to do the simplest of tasks. By delegating responsibilities to an external IT service provider companies can wash their hands of IT functions that are difficult to manage and control while still realizing their benefits. Some companies also outsource IT to help them expand and gain access to new market areas, by taking the point of production or service delivery closer to their end users. For instance, do you want to move into South America or the Mid-East? ANP has deployed WAN and LAN networks throughout the world. To summarize: Companies undertake IT outsourcing for a variety of reasons depending upon their vision and purpose. While this may vary from company to company, all of our clients have found outsourcing their IT to be a fruitful and successful component of their business strategy. You should consider it as a potential strategy for your business! What is the Advantage of IT Outsourcing for a Small Business? As a business owner you are always focused on the key activities of growing your company, but you also need to deal with your non-core business functions efficiently, such as your IT operations. IT outsourcing is a tried-and-tested approach and is recognized as a long-term competitive strategy for business success. IT outsourcing helps you get your focus back on your core business and control your IT CAPEX and OPEX costs at the same time. Are my Information Technology systems set up correctly? Are my employees as efficient and as productive as possible? Is my IT infrastructure ready to support new business and new employees? Is my company data as secure as possible? Is my reactive approach to IT service and repair cost effective? In the event of a fire or flood are my data backups capable of restoring my business systems quickly? Control Your IT costs: ANP’s clients report IT outsourcing can save them as much as 43% over their traditional reactive Time & Materials approach to IT service. Typical PCs can be supported for $50 a month and Servers cost $150 per month. By converting to a outsourced IT fixed fee all you can consume model, the business owner can realistically set an IT budget and be assured it will not fluctuate during the year. Lower Your Infrastructure Investments: By outsourcing your IT you can avoid the need to purchase PC and server management toolsets. You no longer need to renew annual antivirus subscription contracts. You no longer have to rely upon slow to dispatch T&M service; which can blow your monthly IT budget. Focus on Your Business: Focus on your core business. Redirect your organization’s internal resources toward mission-critical activities. By outsourcing your IT functions you and your employees never have to worry again about a windows patch, a virus quarantine, or a damaged disk drive. Accelerate Migration to New IT Technologies: Migrate to new IT technologies with minimum downtime and increased productivity and quality by outsourcing IT projects o an IT outsourcer to jump start your company advancements. Get Access to Best-Practices Capabilities and Improve your IT Availability and Performance: Imagine the peace of mind you would have knowing that every Microsoft best-practice is set up and being maintained in your own company’s IT infrastructure? Compliance to Microsoft best-practices insure that your company’s IT will be more reliable and secure. Enjoy Deep IT Experience & Knowledge: An IT outsourcer will typically have a staff of IT expertise that is aligned by technologies and very deep in experience. At ANP we have Firewall, Router, Server Virtualization, and VoIP IT engineers. Each engineer’s salary is shared across thousands of devices so a small company has access to a level of IT engineering talent that would not otherwise have access to. No more IT Sick Days: Once your outsource your company’s IT to a fixed fee Managed IT Service Provider, you will never worry about another IT hiring, sick day, vacation day or training request. You will never have to hire another IT employee. Enhanced Business Continuity: Get protection from natural calamities, accidents, fires, or technical crises. Disaster recovery and data back ups and detailed back up plans provided by the Managed IT Service Providers will help you to respond rapidly and get operations back on track quickly. Though there have been a lot of controversies regarding outsourcing, the overwhelming advantages of IT outsourcing speak for themselves. More companies are drawing up plans to outsource their IT work to Managed IT Service Providers such as ANP. Many companies now base their entire IT business plan around the delegation of functions to external IT service providers; for example many company’s now don’t see the value in owning an operating an email server. According to some experts outsourcing is not simply a way of cutting costs; it is now a successful and valid business model. What is the Better Business Approach? 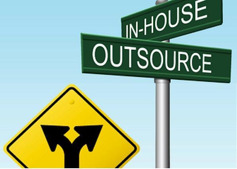 In-source or IT Outsource? Outsourcing is a common business buzzword these days, as more and more cost and quality conscious small business owners are turning to Managed IT Service Providers for outsourcing their IT business processes. So, what exactly is IT outsourcing and what are the benefits of having a Managed IT Service Provider operate your IT infrastructure for you? This blog looks at the benefits of outsourcing your IT and the value proposition offered by a Managed IT Service Provider like ANP. IT Outsourcing refers to the way in which a small business Owners and non-profit Executive Directors entrust their organizations IT processes to a Managed IT Service Provider. Any IT business process that can be done remotely can be outsourced. This includes functions like managing and monitoring your Servers, your firewall, Internet connection, PCs and backups. Plus, your employees have the ability to call and request Help Desk support during business hours as well. Some of the IT processes that can be outsourced to IT providers like ANP are Microsoft patching, Anti Virus updates and scans, malware scans, disk drive de-fragmentation, Active Directory policy creation and enforcement, proactive support such as, UPS battery testing, Backup file recovery testing, and system log reviews to name a few. Cost advantages: The most obvious and visible benefit relates to the cost savings that IT outsourcing brings about. You can get the job done at a lower cost and at better quality as well. We find that many of our new clients have been using Time & Materials reactive support and when we ask them to consolidate a years worth of T&M invoices they are often surprised how much they are spending and how many times a single IT issue is worked on. 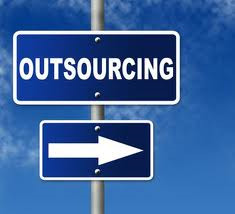 There is a cost savings of around 30% by outsourcing your work to Managed IT Service Provider. Plus, the quality of the services provided is high thereby ensuring that low-cost does not mean low quality. Increased Uptime Less Downtime: When you outsource your IT needs to an outsourcing partner like ANP, they bring years of experience in IT best-practices and expertise in delivering greater reliability and uptime for your IT infrastructure. Thus, they can do the job better with their knowledge and understanding of your IT than doing-IT-yourself. This leads to an increase in your employee productivity and efficiency thereby contributing to the bottom-line of your organization. Focus on Growing your Business: Outsourcing your IT processes will free you and your employees energies and enable your company to focus on building your brand, growing your business, and move on to providing higher value added services to your customers. Unlimited Access to Skilled IT Engineers: When you outsource your IT, you never have to worry about IT employee vacations, or calling in sick, or asking for a raise or an expensive IT training course. IT Service Providers like ANP take care of the technical staffing needs with their pool of highly skilled engineers. The IT engineers employed by ANP are well educated in the respective IT areas of expertise and have over a 200 combined years of experience in handling small business IT issues of all kinds. Fixed Fee Predictable IT Budget: Apart from the cost advantage to outsourcing, the other benefit has to do with the ANP’s approach to Fixed Monthly Fees. For a flat all-inclusive monthly fee, you can have your PCs and Servers completely supported 24 hours a day. Plus receive unlimited Help Desk access during business hours. IT Peace of Mind: What is the value to a business owner to rest assured that his IT systems are secure, available and being run by professional IT engineers? Imagine never having to worry about the back up or if your systems are set up correctly. By outsourcing your IT to professionals, you can enjoy peace of mind!